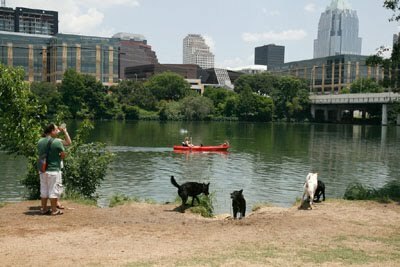 austindogandcat.com: Today was Take Your Dog To Work Day: Did you take your dog to work??? 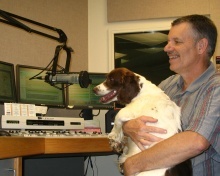 Today was Take Your Dog To Work Day: Did you take your dog to work??? I have a Golden Retriever pup named Chelsea. She's almost a year old. During her short life she has graced the segments of Austin Live probably too many times. Her first "spend the day at the station" experience completely stressed me out. 2) Some dogs (like Chelsea) won't do their business in strange environments. In other words, Chelsea refused to poop or pee when I took her outside. It made for a long day of going outside every 30 minutes or so until she FINALLY relieved herself. I was patient with Chelsea, but my coworkers saw the end of my rope. 3) While romping through KEYE Chelsea apparently ate an unidentified object. She never got sick at the station, but home was a different story. I vowed after that experience to never bring Chelsea to KEYE again. Well, I'm breaking that promise to myself today. She's the model for a segment on summer dog safety. I am taking a smarter approach this time around; I'll pick her up at noon, keep her on a leash, and avoid the pooch-loving posers.